I noticed that Windows wasn’t creating restore points as often as I wanted them. I set out to discover how I—and you—can better control how often this vital task happens without manual intervention. 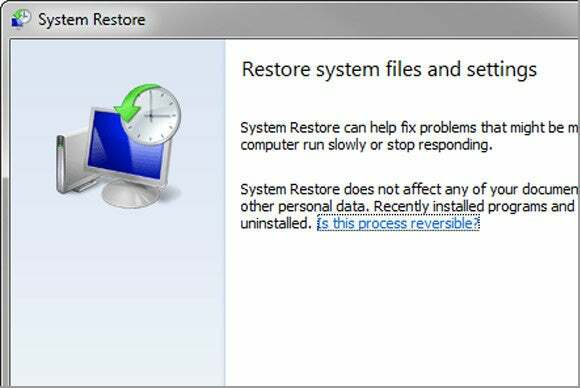 Just about any new problem that makes Windows behave badly can be fixed by opening Windows’ System Restore and returning to an earlier time. But this only works if you have a restore point that was created before the unfortunate changes. So you need to take control of how often Windows creates these points. Set up Windows to create new points on a regular basis. Type restore point in the Start menu’s Search field or Windows 8’s Search charm, and select Create a restore point. Once the dialog box is up, you could simply click the Create button to create one point. But your goal is to automate the process, not do it manually. In the list of available drives, select your C: drive. Then click the Configure button. In the resulting dialog box, select Restore system settings and previous versions of files. Set the Max Usage slider as high as you can comfortably go. The more space you give it, the more restore points will be available the next time you need one. In the top section of the middle pane, double-click the only option, SR. In the resulting dialog box, you’ll find six tabs where you can change a great many settings. For instance, you can change the time that the backup happens, postpone the creation until the PC is idle, or have it create a restore only once a month. Note that although the default setting runs the task daily, the task itself will create a restore point only if it’s been seven days since the last one. That’s about right for protecting Windows, although it’s insufficient for data files. It’s also worth nothing that certain actions trigger restore point creation. For instance, Windows Update creates one before updating Windows. And many installation routines start by creating one.